Select the first visible detail-window in the model space. This detail-window defines the size of further detail-windows. Select the further rectangles always orthogonal to the first detail-window from the left to the right or from the bottom up. Press RETURN key or right mouse button to finish this loop. 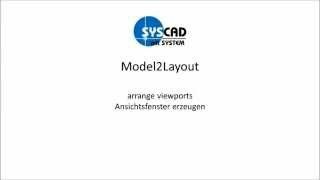 Select the insertion point of the viewport sequence in the layout area. Start the main dialog with all commands.